This listing is for 20 vintage seals from 1968. 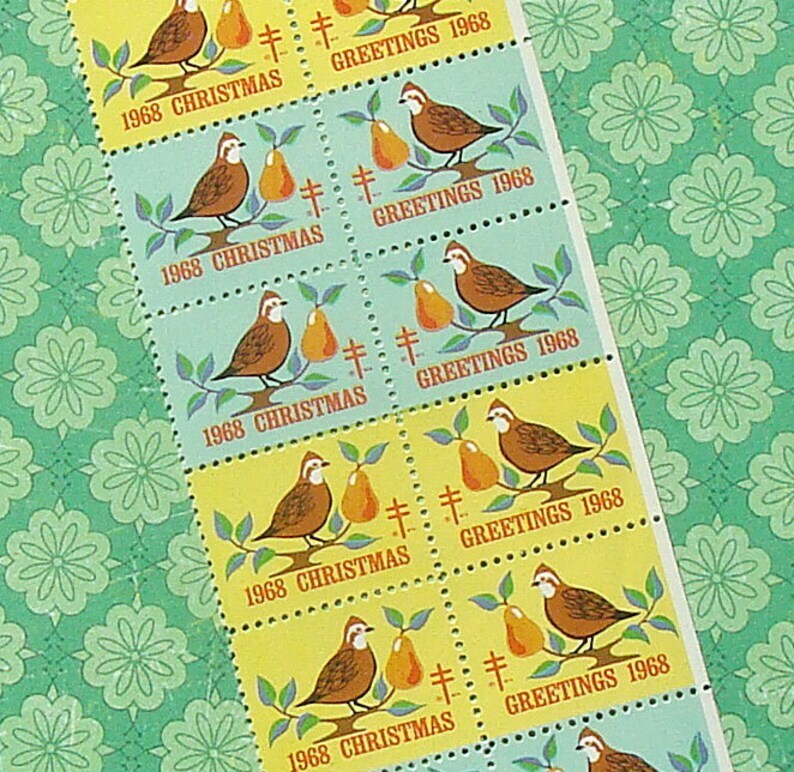 These are so cute, with a Partridge in a Pear Tree theme, and the year featured on the front. You will receive a sheet of 20 of these seals. These are quite old -- over 40 years old! -- so they may not stick with the original gummy adhesive. Perfect for your paper crafting, scrapbooking, mixed media or altered art needs -- for all of your holiday projects! These seals each measure approximately 1 inch across.